The massage technique known as trigger point, is also called Myofascial Trigger Point Therapy. This massage technique is most often used to relieve muscle skeletal pain caused by muscle spasm. Don't let the name fool you, Sports massage is useful for anyone with chronic pain, injury or range-of-motion issues. The Sports Massage technique emphasizes prevention and healing of injuries to the muscles and tendons. Your massage therapist will generally concentrate on a specific problem area that you have identified. Maybe you have a sore neck or stiff shoulders. This technique is frequently seen in spas. Reflexology is based on the principles that there are reflexes in the hands and feet that correspond to every part of the body. A therapist skilled in the art of reflexology will apply acupressure and massage to the ears, hands and feet. The benefit of this technique is improved circulation, detoxification, and reduced tension. Some also believe that this will aid the body's ability to heal itself. Prenatal Massage therapy has been shown to reduce anxiety, decrease symptoms of depression, relieve muscle aches and joint pains, and improve labor outcomes and newborn health. Prenatal Massage therapy is a combination of varying techniques, one of which is Swedish Massage, which relaxes muscle tension and improves lymphatic and blood circulation. Swedish Massage is the recommended prenatal massage method during pregnancy because it addresses many common discomforts that are associated with the hormone shifts during pregnancy. 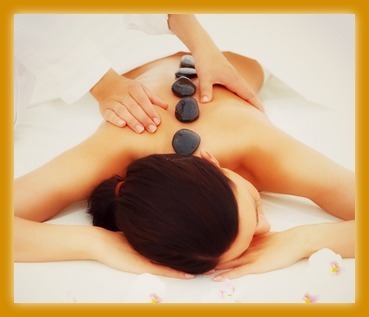 Hot-stone massage therapy uses hot stones to increase circulation and reduce soreness. The therapist typically uses traditional strokes of Swedish massage while holding a heated stone. When the stone cools, the massage therapist will use another heated stone. So, there you have the most common types of massage therapies. Choose one and experience for yourself what a great massage can do for you! The geriatric massage techniques address specific issues common to elderly individuals. Elderly clients tend to have an increased fragility and sensitivity to touch. This massage style is also sometimes taught to nurses and other care providers. Interestingly, studies support the notion that touch can have a positive impact on physical and mental health.